CNM DPG is truly a remarkable, hardworking and dedicated group of dietitians! It is a pleasure to help forward our DPG key initiatives, support growth of our members’ skills and be part of needed changes in our healthcare environment. 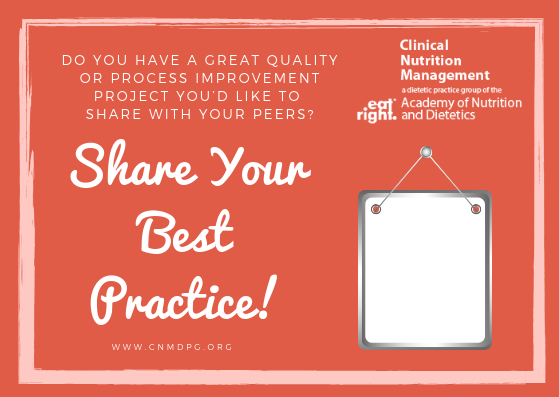 I appreciate all those who are members and leaders…you are sticking with the mission to improve the nutritional health of people and initiate organizational changes to optimize nutrition care for our patients. It is that persistent, day-to-day hard work that will see our CNM DPG Vision mature. A special Thank You to our 2018-2019 DPG Executive Committee leaders who work so hard and volunteer to help lead and teach on behalf of our DPG. We hope you can join us for our February webinar! 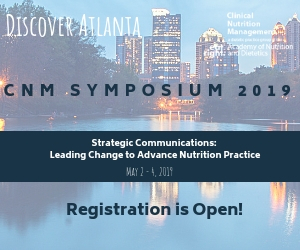 We are so excited for the 2019 CNM DPG Symposium in Atlanta May 2-4, 2019! 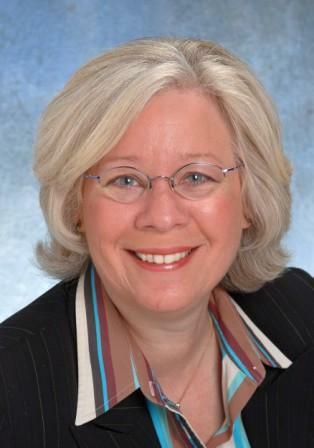 This Symposium has a new pre-conference special education event, "Effectively Connecting: Communications Skills That Get Results!" Registration is open! Link to the agenda here. You can reserve your room now. If you have never attended a CNM Symposium, it will truly change your perspective on practice and help you in your job role. 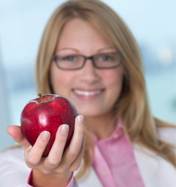 You will find and create a network of like-minded and dedicated dietitians, sponsors and exhibitors who help one another progress, and you will leave with your brain full of ideas and creative approaches to apply in your own work settings. Sponsorship opportunities are still available for the 2019 Symposium. Consider submitting a QI-PI poster! Learn more here. In the coming months, please watch for webinars for our members. CNM is sincere about assuring value for your membership. Our Professional Development Committee is planning free member webinars on several diverse topics in the coming months.